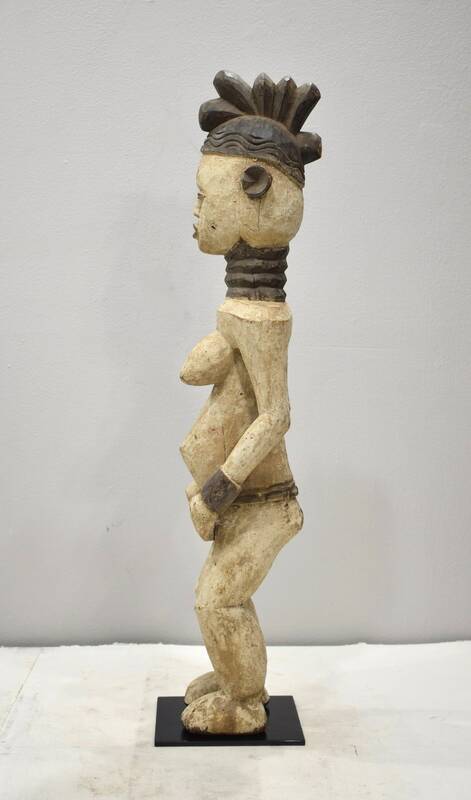 This is a wonderful Female Igbo Statue from Nigeria. 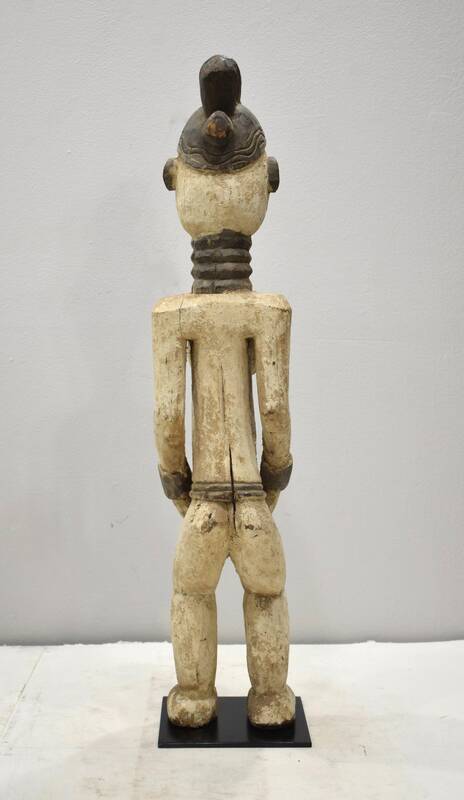 Igbo sculpture is subject to rather strict rules: the figures are generally frontal, symmetrical, and upright, with legs slightly spread, arms held away from the body, and hands stretched forward, palms open. Proportions are true to those of the human body, with the exception of the neck, which is more elongated. The whole gives the impression of balance and stability yet lacks the degree of refinement and precision. 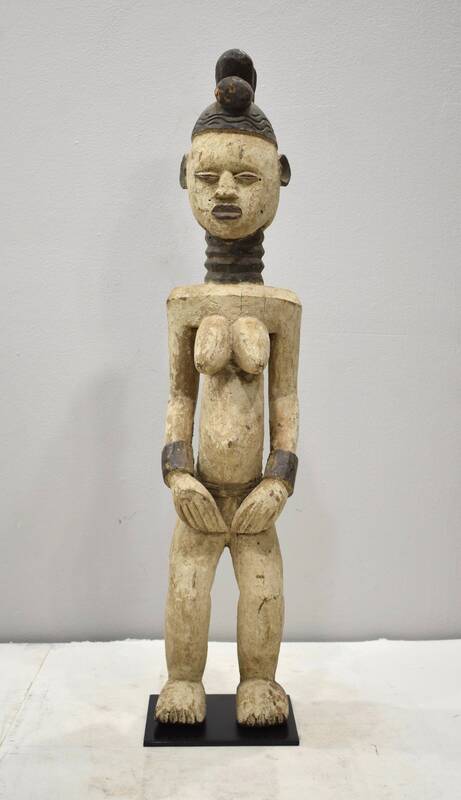 This statue is displayed during ceremonies and strengthen the sense of community solidarity. 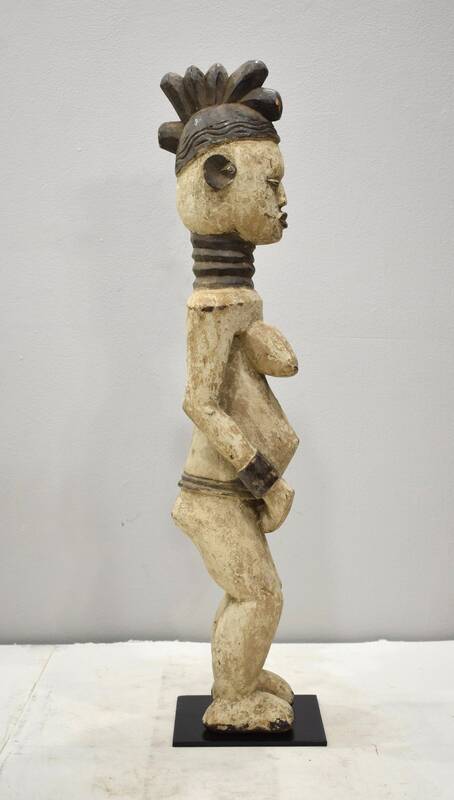 This Igbo Statue would be a wonderful addition to your collection and home. Shows age, discoloration, but in good condition.